When the flight attendant says to obey all lighted signs, placards, and crewmember instructions, tuning her out with your iPod while smoking a cigarette on your way to the lavatory as the plane lifts off the runway is probably going to lead to some pain. Perhaps a lot of it. 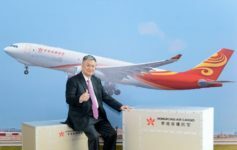 Flight attendants on Hong Kong Airlines will now have a new training course wedged between aircraft evacuation 101 and how to use the onboard ovens: kung fu training. And not just any kung fu, but a form called wing chun, perfect for use in small and confined places…like an airplane. The airline, a division of Hanian Airlines, claims it deals with three "disruptive" passengers per week (who are promptly shipped to forced labor camps in Inner Mongolia) and will now require FAs to take this new course. In fact, all of Hong Kong Airlines’ employees will be invited to attend the training. So don’t think about giving any lip to the agent who checks you in for your flight. I could have used a couple of kung fu trained FAs to deal with drunks onboard my Lufthansa flight last night! Previous Article Should Airlines Keep Bag Fees When They Lose Your Bags?